Just starting to get around to photos from my Holiday Vacation home to Montana. These first two were taken on my trip up to Montana on December 23rd. 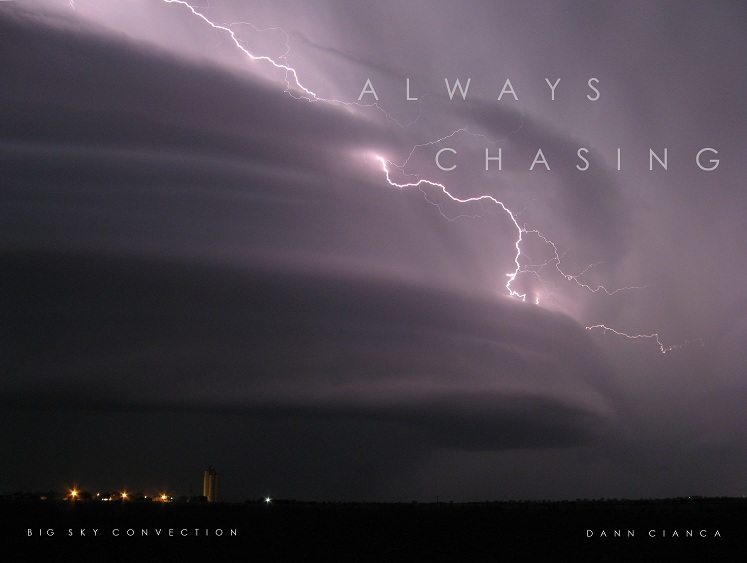 If you'll recall, quite the storm was taking shape here in Colorado. Driving through it wasn't easy. The stretch from Fort Collins to Cheyenne was especially icy and I counted 20-30 vehicles off of the road. 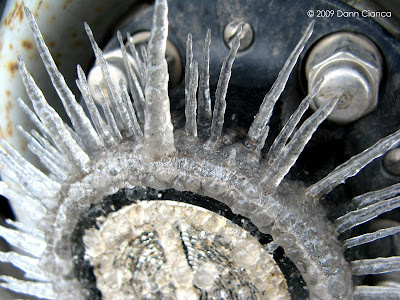 I stopped in Cheyenne to fuel up and found that my wheels had grown some nice ice spikes! The trip from Cheyenne to Casper was even worse. It took almost five hours. Ground blizzard plus a slippery road made the trip exhausting. I almost called it a night and stayed in Casper, but after a Belgian waffle from IHOP in Casper, I was ready to continue on. Luckily, the snow seemed to completely disappear right outside of Casper and I didn't encounter any hazardous driving conditions until driving through the Pryor Mountains in Montana. Eventually, I was back on the road and dealt with only some light snow and patchy ice on my three hour trip to Butte. I arrived at 2:30AM to my parents' house all decorated and nice but not much snow on the ground there! ... more from my trip in the next few days. Wow Dann, this is the first time I ever saw wheel spikes, nice job on the pillars as well, both are still on my list awaiting check off... along with a legitimate tornado lol. Great shots Dann. Those spikes are amazing. 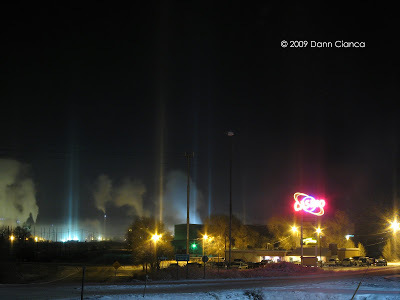 Light pillars are pretty sweet too.